Can a MRI detect autism? 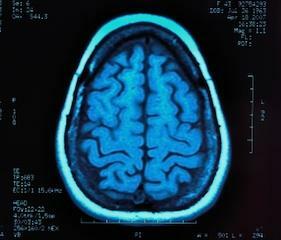 It is possible that brain scans are a breakthrough in diagnosing autism accurately. MRI (magnetic resonance imaging) is a medical test that is similar to an X-ray, but MRI uses radio frequency pulses and a magnetic field to produce images rather than radiation. The images appear on a computer monitor, and they can be printed, transmitted electronically or put on a compact disc. The imaging procedure has been used to identify brain damage and tumors, and it is a common tool in many autism studies as well. The imaging test may be the most promising approach to detecting autism early. Magnetic resonance imaging has been a staple for autism research for quite some time, and it stands to reason that the imaging test would be part of identifying autistic disorders. According to the Science Daily press release, the increased brain activity in siblings of children with autism may be the brain compensating for autistic tendencies. The compensatory activity may have prevented autism from developing, in spite of the genetic predisposition for autism. The right and left hemispheres of the brain must work together for the brain to function properly. A brain MRI may detect autism by showing dysfunction in connectivity. Researchers from the University of Utah found that an MRI can find problems in communication between the hemispheres of the brain. Nicholas Lange is the lead author of an exciting study from McLean Hospital, an affiliate of Harvard University that was able to detect autism using an MRI with 94 percent accuracy. The scans examine six areas of brain circuitry that involve emotional, language and social functioning. The imaging process used diffusion tensor imaging, which further refines magnetic resonance imaging. Can a MRI detect autism? It appears to be a very promising strategy for accurate diagnosis of autistic disorders. This can have a profound impact on families and individuals affected by the spectrum. Diagnosing autism can be very difficult because the process involves behavioral observation. Tests such as CARS are common approaches to detecting pervasive developmental disorders, but evaluators can't always make an accurate diagnosis until the child is at least 18 to 36 months old. Imagining scans are promising because they may be able to identify brain abnormalities before they manifest in the child's behavior and social interactions. A brain scan autism diagnosis has great weight, which can lessen the skepticism about whether the disorder is over-diagnosed. Some people are quick to assume that children with behavior problems and poor social skills are products of their environment, as evidenced by Michael Savage's comments about autism. If MRI accurately detects autism, the diagnosis has scientific backing. In addition, it can rule out PDD if it isn't present. This ensures that the affected individual gets appropriate treatment. Early identification and intervention are extremely important in treating pervasive developmental disorders, and an objective medical test that detects them accurately is an exciting breakthrough. While the brain scans detect autism, more testing is necessary before the approach becomes clinical practice. In trials, the test shows great promise as MRI successfully detects autism, and this approach has a very promising future.